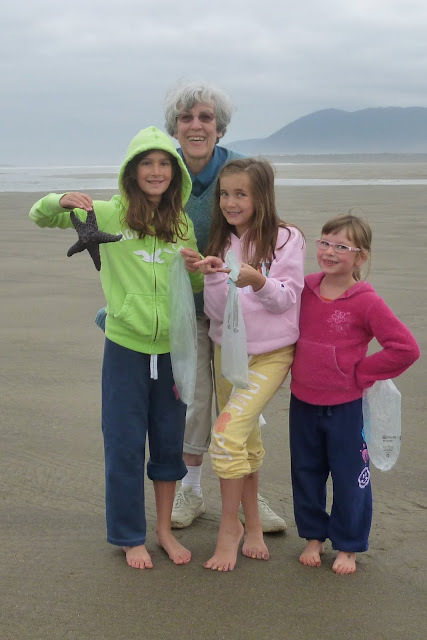 This might be my favorite picture from our saltwater get-together. 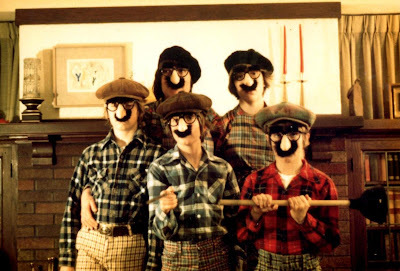 We always did like mustaches . 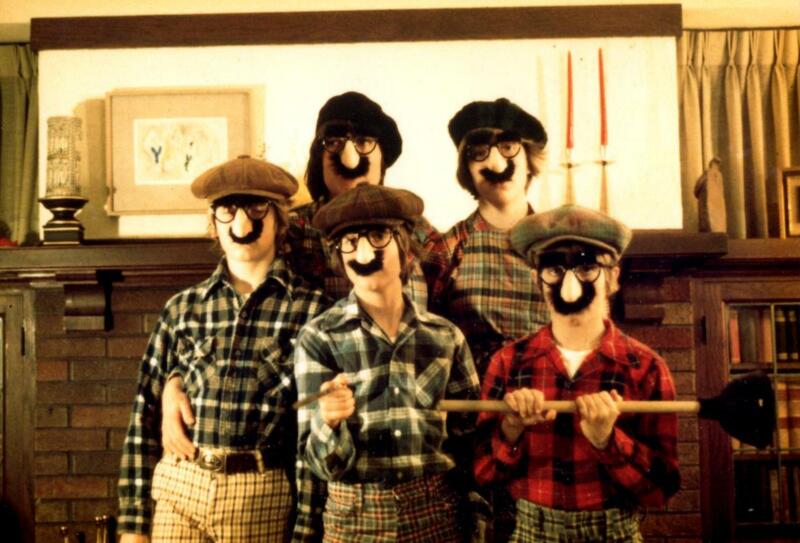 . .
"The McDraggles" act was designed to be 'gonged,' which would allow serious talent to be appreciated by the audience at the grade school fund raiser. We were so funny, however, the gong ringer delayed doing his job while we continued with our music much longer than we'd planned. Four of us kept "playing" our phony bagpipes (the fifth conducted with the plumber's friend), while the audience tittered, hooted, and hollered. Result? Four kids who were really mad at their mother for the next several days. And . . . our Adam's Apples were sore, too, because to play our phony bagpipes, we had to thwack them with our forefingers while humming "Scotland the Brave." There are lots of people braver than I, but a ten year old? 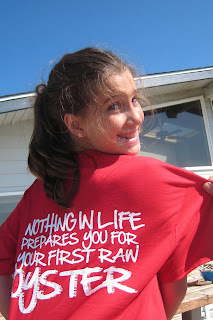 Yup, here is my special ten-year-old, showing off the t-shirt she earned. Not only did she eat one, she ate two! That means she's already eaten twice as many raw oysters as I have, in all my seventy-one years. Even grownups like to play at the ocean. The boomerang always returned, unlike the Frisbee. Who are these adorable flappers? (Notice the 'with-it" tee shirt on the woman!) 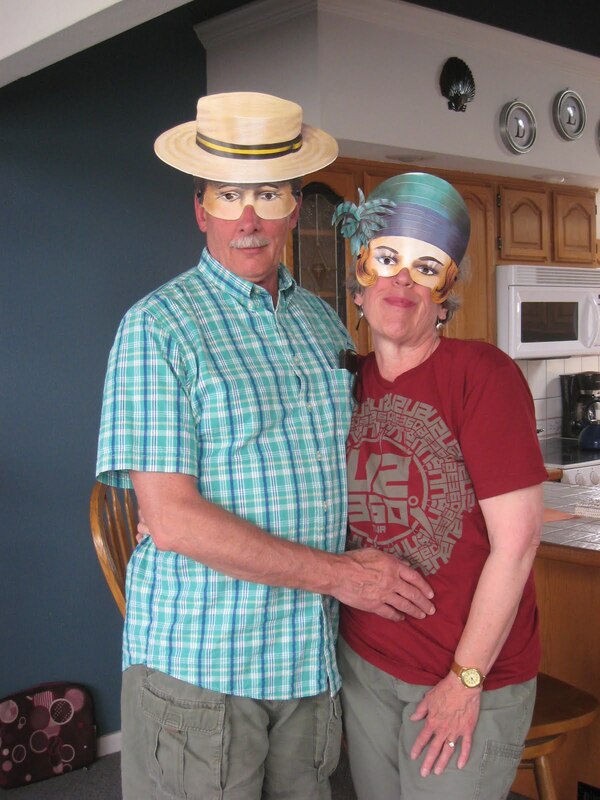 We had fun with masks for a few minutes at our oceanside family gathering. 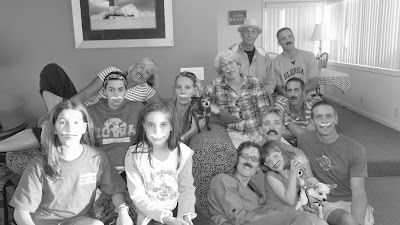 Even more fun was had by the entire group when each and every one of us donned a fake mustache. Oh, did I say everyone? I meant to say twelve out of thirteen. One of us had his own mustache, so he had no need of a phony. Hint . . . he's the patriarch. 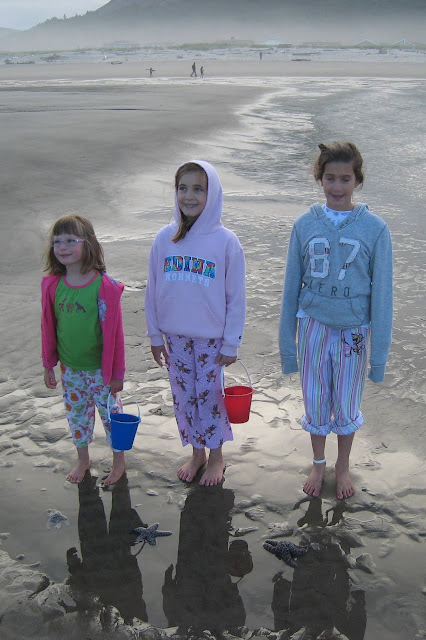 Happiness is beachcombing in your pajamas, if you're under age 11. 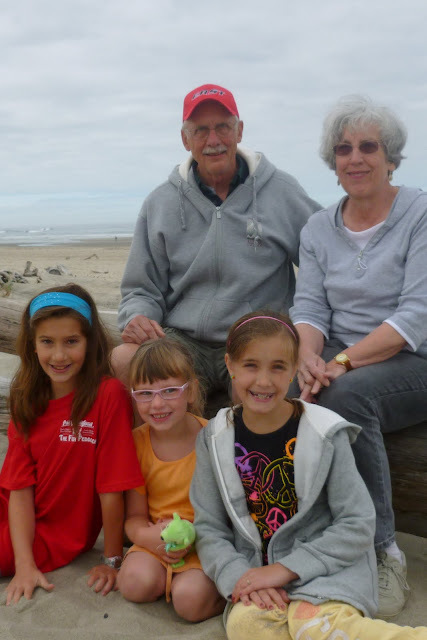 Happiness is getting together with all your grandchildren at once, if you're over age 70.